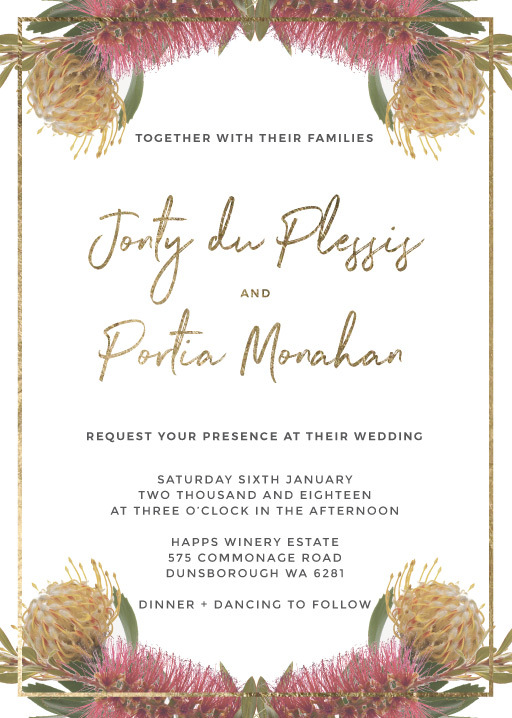 This beautiful Native Reflection collection by independent Aussie designer James Boston draws influence from perfect for a beautiful bush wedding, native reflection incorporates the bottlebrush and protea to add a floral touch and some scriupt gold for the added touch of class. and would be great for those planning a floral ceremony. 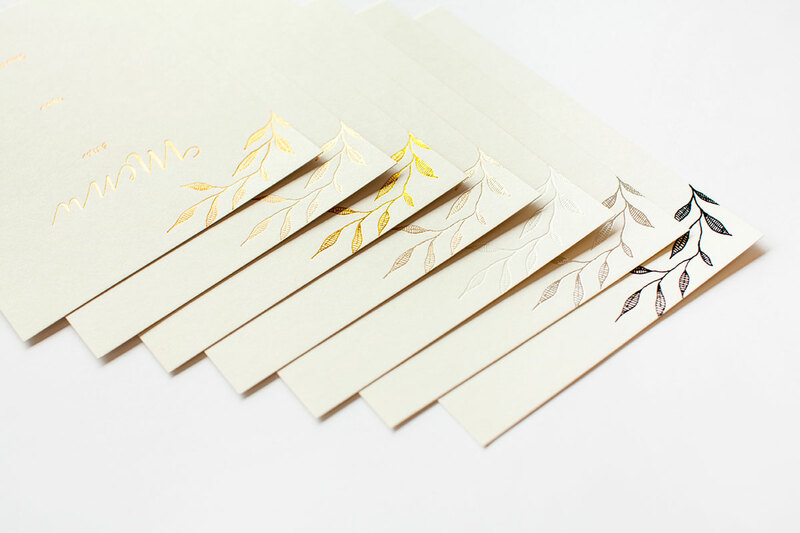 The Wedding Invitations card from the Native Reflection set looks great when printed using Real Foil and here at Paperlust we think it looks best on Paperlust 300 GSM Cotton.